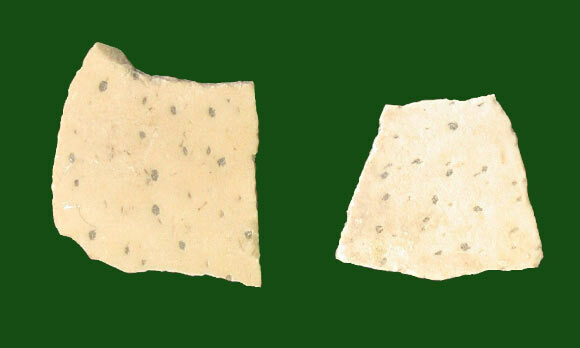 3.8-million-year-old ostrich eggshell fragments from Laetoli, Tanzania. An open access paper published yesterday shows something which should be frightening the wits out of creationists frauds, even if their willing dupes won't understand or accept the significance of it. An international team of researchers has shown the proteins can persist in the fossil record for at least 3.8 million years - some 50 times longer than DNA. The protein was found bound to the fossilised fragments of ostrich eggshells. The finding open up the possibility of detailed analysis of human evolution where DNA has not survived. The pattern of chemical reactions that break down the molecules that make our bodies is still fairly mysterious. Archaeologists and geologists hope that dead organisms (or artefacts made from them) might not decay entirely, leaving behind clues to their lives. We know that some molecules are more resistant than others; for example, fats are tough and survive for a long time while DNA is degraded very rapidly. Proteins, which are made of chains of smaller molecules called amino acids, are usually sturdier than DNA. Since the amino acid sequence of a protein reflects the DNA sequence that encodes it, proteins in fossils can help researchers to reconstruct how extinct organisms are related in cases where DNA cannot be retrieved. Time, temperature, burial environment and the chemistry of the fossil all influence how quickly a protein decays. However, it is not clear what mechanisms slow down decay so that full protein sequences can be preserved and identified after millions of years. As a result, it is difficult to know where to look for these ancient sequences. 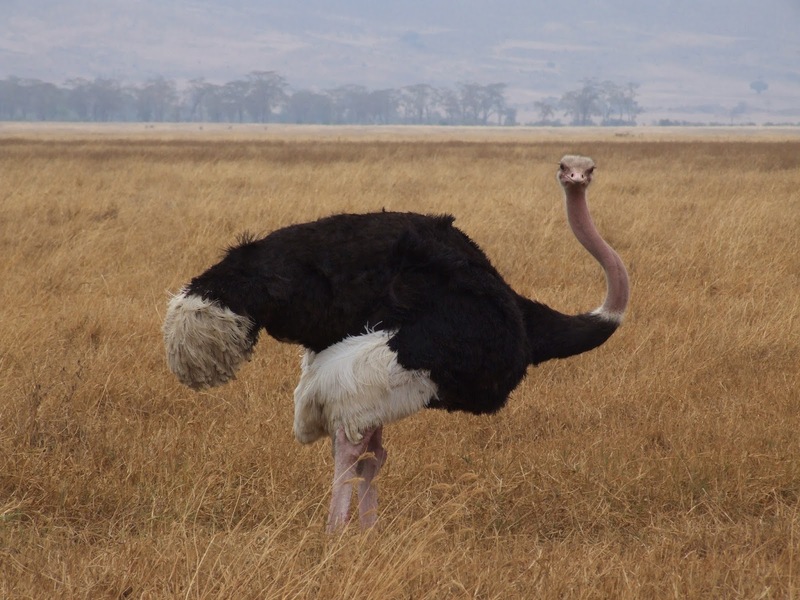 In the womb of ostriches, several proteins are responsible for assembling the minerals that make up the ostrich eggshell. These proteins become trapped tightly within the mineral crystals themselves. In this situation, proteins can potentially be preserved over geological time. Demarchi et al. have now studied 3.8 million-year-old eggshells found close to the equator and, despite the extent to which the samples have degraded, discovered fully preserved protein sequences. Using a computer simulation method called molecular dynamics, Demarchi et al. calculated that the protein sequences that are able to survive the longest are stabilized by strong binding to the surface of the mineral crystals. The authenticity of these sequences was tested thoroughly using a combination of several approaches that Demarchi et al. recommend using as a standard for ancient protein studies. Overall, it appears that biominerals are an excellent source of ancient protein sequences because mineral binding ensures survival. A systematic survey of fossil biominerals from different environments is now needed to assess whether these biomolecules have the potential to act as barcodes for interpreting the evolution of organisms. It seems that by binding closely to the minerals in the eggshell, proteins are stabilised in a way which means they can survive even the fossilisation process. It also seems that, contrary to expectations where is had been assumed that high temperatures and sunlight would have increased the rate of degradation of proteins, they may have increased the binding process instead, so that eggs exposed to the hot African sun better preserve their proteins. This holds out the hope that, rather than having to rely on DNA recovered from frozen specimens from northern climates, scientists may be able to use proteins preserved in the hot African climates where most of our human and pre-human ancestors lived. Coincidentally, some of the specimens examined were obtained from sites of special interest for the evolution of hominids - Olduvai Gorge and Laetoli in Tanzania. One possibility opened up by this discovery is that it may be possible to isolate proteins from the enamel on the teeth of fossils. The same team has already recovered proteins from the fossilised teeth of extinct mammals — deer, horses, and rhinoceroses — from the Dmanisi site in Georgia, where some of the earliest non-African hominid remains have been found. These are not happy timed for the creation fraud industry, although such is the level of denialism in their willing dupes that this will probably pass them by.